Art aficionados would be familiar with the celebrated French photographer and painter Georges Gasté, and they now have a chance to view his works up close. The Institut Français de Inde is presenting a retrospective of the artist’s works through a travelling exhibition. It’s not only the composition and lighting effects of his photos that make his work great, but Gasté’s pictures also have a great ethnographic significance. Due to the proximity between the painter and the local Indian people, his images narrate everyday life stories of Agra, Benares, Delhi and Madurai at the turn of the 20th century. On display are a mix of art and images, including 34 high definition black-and-white photographs of India, digitised from glass plates; letters, and colour reproductions of his many paintings. 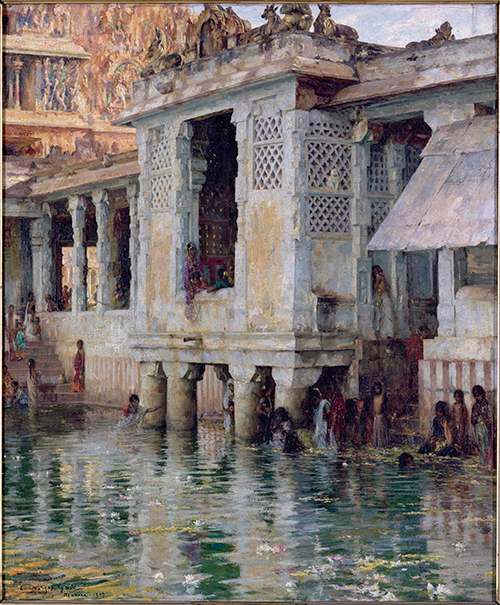 A highlight of the exhibition is a collection of photographed paintings of the temples of Madurai that were painted in 1909. A documentary film on the life of Gasté completes the show. Gasté in India: 1905 -1910 will be on display at Deolalikar Art Gallery, Indore from February 7 to 21, 2015.